Do you own or manage a blog? Or considering launching a blog? Proper search engine optimization (SEO) practices for blogs include a mix of unique SEO tactics and general SEO best practices. 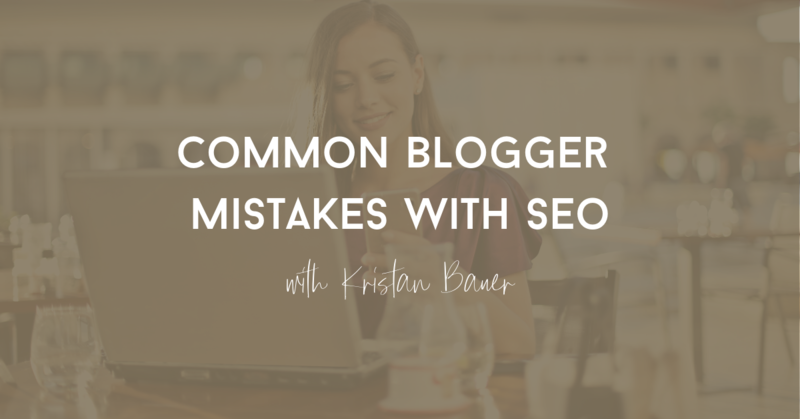 Making sure you’re doing SEO right is a good thing but sometimes it’s helpful to learn what not to do to avoid basic SEO mistakes blogs make. Here are seven common SEO mistakes blogs make so you can avoid and maximize your content development for SEO. Firstly, understanding why SEO is important for blogs can be helpful in prioritizing SEO efforts. Organic traffic tends to be one of the largest traffic-driving channels online and generally, driving organic traffic is a fundamental goal for many bloggers. Especially considering the mass amounts of content that typical bloggers create, maximizing that content with organic search visibility is important. Search engine optimization not only makes your site search-friendly but it can also make your site user-friendly too. Good SEO practices for blogs include improving page speed, improving user experience and web copy, which are all good things to drive more traffic and keep users engaged on your site. Reviewing your blog’s indexable pages can be very helpful and enlightening. Just doing a site search for all indexable pages can help any website (regardless if you have a blog) find gaps and errors in indexed pages. 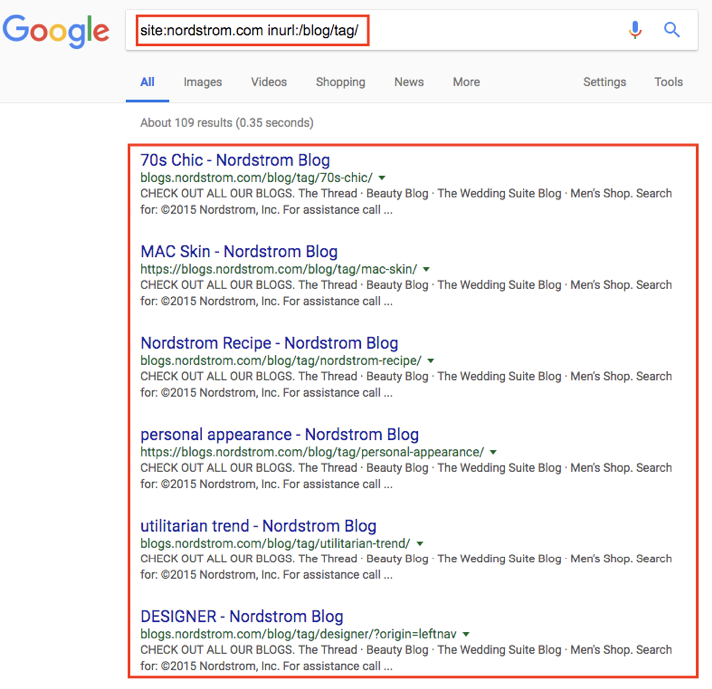 For blogs, “tag” pages are a common culprit for excess indexation and potential duplication in search results. When creating a blog article, there are “tags” you can assign to articles to help categorize blog posts. However, when indexed these “tag” pages typically are not consistent, have unoptimized SEO meta tags and can duplicate otherwise main blog categories on your site. In special instances, “tag” pages can be used as the main blog category pages when categories are unable to be created. If this is your case, be sure you have all your SEO elements optimized for tag pages (including the name, URL slug, and description) and use consistent tags across the site. To remove tag pages from the index, be sure to apply a meta robots “noindex,follow” tag to keep them usable on your site but not indexed in search results. Often considered a “technical SEO” component, evaluating your site’s structure and crawling can be helpful in ensuring search engines are able to access all the pages you want on your site. This includes mistakes such as having inconsistent internal linking and not having an XML Sitemap. Internal linking networks, such as your navigation, footer and contextual linking within articles, can help with page discoverability and pass link equity. Making sure you have a well-planned site architecture (site navigation and organization) and link to related articles within the content can be helpful in ensuring users and search engines find the right content. If you’re on WordPress, the Yoast SEO Plugin has an automatic XML Sitemap generated. XML Sitemaps help communicate to search engines important and new pages on your blog. Backlink development and content promotion is an easy item to overlook and a common SEO mistake blogs make (or any website makes). Once you create great content, you expect people will start to come to your site, right? Unfortunately, creating the content is only half the work. Unless you already have a massive audience and base of avid readers, all websites or blogs need some sort of content promotion or backlink development initiatives. Be sure to engage in some sort of a content marketing strategy after you create your content. This will likely depend on your niche or audience but could include tactics like social sharing and promotion, content syndication or public relations. By promoting your content and getting it in front of other influencers, this can help drive more backlinks to your site. Therefore, making your piece of content and website more competitive in search results. Getting your analytics updating and verified is a basic necessity for any blog or website. This includes free analytics platforms, such as Google Analytics, Google Search Console, and Bing Webmaster Tools. Without analytics, you won’t be able to accurately understand the type of traffic you’re driving to your blog and how to better optimize your content. By having webmaster tools (Google Search Console and Bing Webmaster Tools), you’ll be able to better monitor your site’s health and communicate with search engines. All of these SEO analytics platforms are generally easy to install, especially if you have WordPress and the Yoast SEO plugin. Understanding how your target audience searches is fundamental to creating any SEO or content strategy. This includes keyword research to better understand searcher behavior. You can create the best piece of content but if you don’t have a well-thought out keyword research strategy behind it, it might not drive any organic traffic. Keyword research is the process of researching and understanding how users search for related phrases. Typically, this keyword research should be done for each article you plan to publish on your blog and your target keywords should be naturally integrated throughout your content. Use popular tools, such as SEMrush, MozPro or Google Keyword Planner, to brainstorm what you think users might search to reach your article and learn about other related phrases (and potentially better keywords to use). 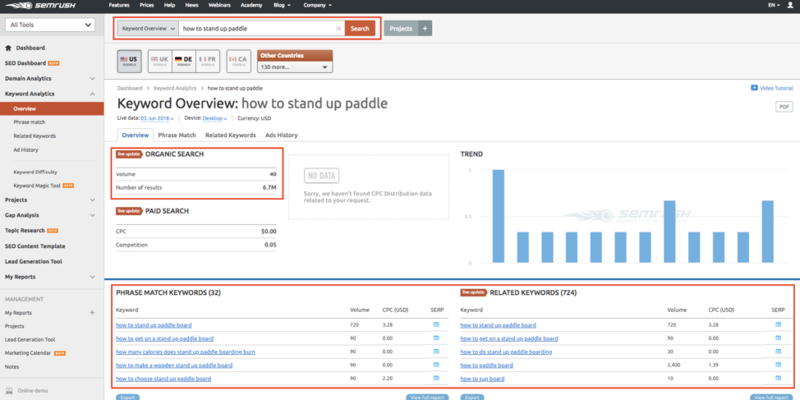 Keyword research tools will be able to identify the average search volume, competition, and other related terms. Optimizing fundamental SEO meta tags, such as title tag and meta description are very basic SEO but often overlooked. Both of these tags are shown in organic search results and can contribute to better search ranking (directly and indirectly). The title tag and meta description for a blog article is extremely important to optimize with your target keywords not only for ranking purposes but also for encouraging better click-through-rates (CTR) from search results. Consider phrases such as “best” or “ultimate” in your title as well as numbers and CTAs to encourage better CTR. Optimizing your title tag and meta descriptions are easy to do for most blog CMS platforms, including WordPress. For blogs, image optimization can greatly contribute to user engagement and site speed, both user experience factors. Using images is shown to increase user engagement and time on site, so it’s important to use them periodically throughout your content. Optimizing important image attributes such as your alt text and image file name (before you upload the image) with relevant, target keywords help improve your article’s holistic SEO. Additionally, ensuring images are saved for web (compressed for web) and sized correctly is important to improve page load times. It’s common to see bloggers use extremely large images when they’re visible display is a thumbnail or much smaller than the actual file size. 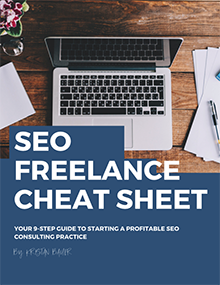 Overall, following basic SEO best practices and some specific blog-SEO tactics can greatly help improve your blog’s visibility in organic search but also improve the user experience for your readers. By avoiding these common SEO mistakes blogs typically make, you can maximize your content development and see an improvement in organic traffic trends. Do you manage a blog? 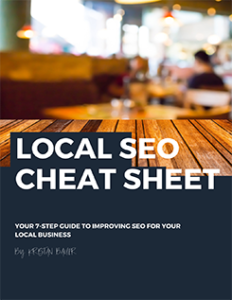 Have you found any other common SEO practices helpful? Or any other major SEO mistakes blogs should avoid? If so, please leave in the comments below!